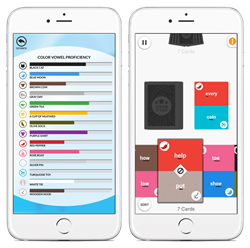 Blue Canoe Learning, a Seattle, WA-based artificial intelligence startup for non-native English speakers to improve their pronunciation, raised an initial $1.4M funding round. The round was led by Kernel Labs, among others. Co-founded in 2016 by experienced entrepreneurs Sarah Daniels (CEO), Tony Andrews (CTO) and Amit Mital (Board Member), Blue Canoe Learning aims to help non-native English speakers to improve their pronunciation and business communication. The company will launch its pilot program later this year, and its corporate customers will provide the app to their non-native speaking employees to play for just 10 minutes a day on their phones. With patent-pending speech recognition and machine learning technology, learners get personalized feedback on their spoken English. In addition, both learners and their managers get insights from dashboards that track each learner’s objective Pronunciation Score and show how it changes over time. Blue Canoe Learning, which is part of the Allen Institute for Artificial Intelligence (AI2)’s new incubator program, has an exclusive license to the Color Vowel® System, a language program utilized by top institutions including the US Department of State, the Peace Corps, and leading universities such as Yale, Harvard, and Georgetown.